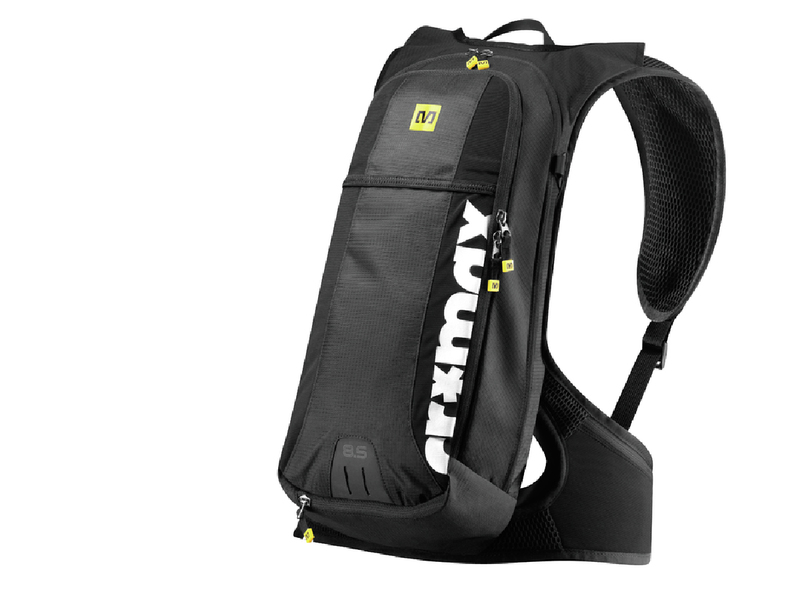 Mavic lets 2014 kit out of the, er, bag. 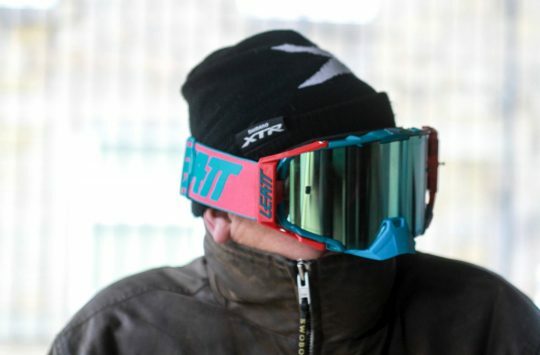 For 2014, the yellowest brand in all of cycling has strengthened its mountain bike offerings on the apparel side while jumping into a three completely new areas. Collaborations with Time and Hutchinson get the big M into pedal and tyre markets while the company’s in-house design team is responsible for beginnings of a hydration pack range. More on the tyres later- let’s take a look at the packs, pedals, and some flashy shoes first. Featuring both ‘right for most rides’ 8.5l and ‘bring some sandwiches, it’s going to be an adventure’ 15l models, the two Crossmax Hydropack packs are designed to be snug fitting and stable. The wide waist and shoulder straps should help in that respect, and the 8.5l version looks to be nicely trim and low-profile. We don’t have images of the back panels, but the ClimaFlow padding is said to provide wide ventilation panels for good breathability. Organization and accessibility are emphasized, with four access zippers and internal organization for tools, electronics, sunglasses, and so on. Because we can’t escape the phrase of the moment, the packs were “designed by and for enduro racers.” Sorry. The packs are expected to run $130 and $150, with UK pricing to be set. Easily located for pre-dawn departures. Thanks both to its birth from the ashes of the Adidas Cycling range as well as to sister brand Salomon, Mavic has long been strong in footwear. 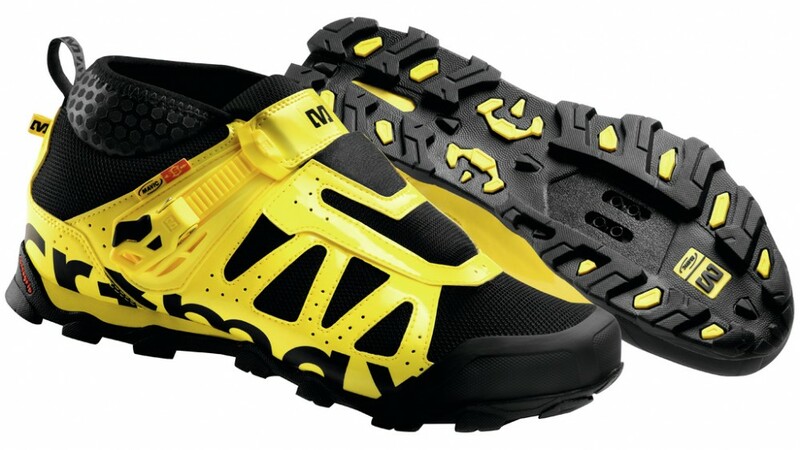 For 2013, the Crossmax Enduro looks to be the company’s most interesting riding shoe. The brand’s fit has long worked for many riders and the Salomon-derived Contagrip tread rubber has made fast friends with anyone forced to walk on uneven terrain. Combining a quick-lace system with a protective tongue and ratchet should keep things secure and tidy. A neoprene cuff is designed to keep debris out but perforated to let fresh air in. 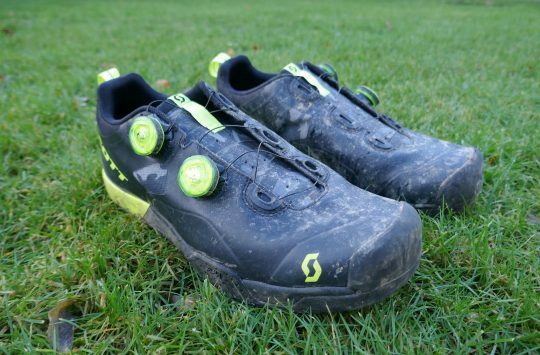 The sole is a stiffened version of that used in the existing Alpine XL shoe, which should make for more direct pedaling. At a claimed 460g, weight seems reasonable – as does the US$190 retail price. What good are new shoes without pedals to clip into? As noted above, Mavic have partnered with Time to release a range of slim and platform’d pedals using the patented ATAC retention system. The pedals follow Mavic’s wheel naming hierarchy, with Crossride at the entry level, Crossroc at the mid-range, and Crossmax at the top. Release angle can be set to 13° or 17° thanks to reversible cleats and mud shedding should be well above average. 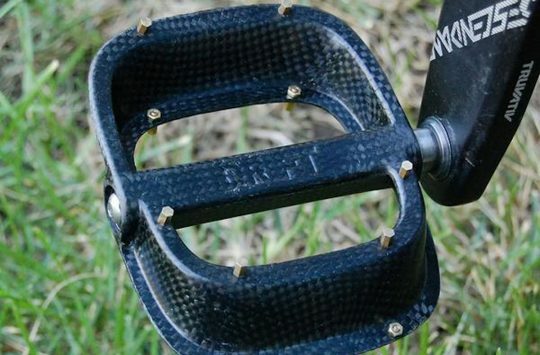 Given their proven ATAC mechanism and wide range of price points, we could see these pedals gaining traction in the UK. Kinetic's Traxle thru-axle enables indoor biking. Hooray? time pedals in black…what’s the added value? The XL pedals look the perfect replacement for my aging ATAC freeride Z’s. I’m sure these ones have got lasers. +1 if mine weren’t still going strong after many years of abuse.